With the rise of the Internet and apps as vital sources of information searching, ebooks are now a great way to capture a reader’s attention when they are looking to learn something new – especially because they can easily download and read on-the-go on their device of choice. According to Pew Research Center, 27% of Americans read an e-book in the past 12 months – up from 17% in 2011 – so now is the time to write one! Publishing an ebook can help with lead generation, promoting your business, and positioning you as an expert in your eld. But let’s be honest. Content alone is not enough to make sales. You need an attractive, attention-grabbing ebook cover design to engage shoppers. When it comes to successfully marketing an ebook, besides writing the top-notch content that your audience needs, the cover design needs to instantly catch your reader’s eye. The cover should be visually pleasing with a cohesive theme that relates to the content of your ebook. With that in mind, here are a few things that you should consider when making an ebook cover. Every author and publisher understands the importance of an attractive cover design in a physical bookstore, because it captures readers’ attention. Ebook covers, on the other hand, didn’t get the same level of attention until recently, as consumers began to read more and more on their computer or tablet. Now, ebook covers are valued for their ability to catch the eye as a potential buyer scrolls up and down the screen; getting them interested before they’ve even stopped to read the description. When planning out the cover of an ebook, you should cut it down to one striking design that tells the story, just like a movie poster. The cover design comes down to three key details: background, image, and type of font. Some covers can get by without an image, but only if the other two elements work perfectly. Most books, however, do need an image to boost the book’s profile at face value with something that reflects its subject. The picture should fit in with the background and font perfectly. Don’t get too fancy or bold with the images– combining a standardized picture with a complex font can be a turnoff as it symbolizes the amateurism of the book. The cover should express the story and how it’s told- keeping in mind the distinguishing characteristics of fiction and non-fiction. When following the look of the genre, don’t use the easiest and bland pictures because it becomes too predictable. The cover needs background color (later, I’ll share more about using color) and one main image. Don’t go with all-white because that will never sell (The Beatles’ White Album being one notable exception; but most of us would prefer not to compete with the boys from Liverpool). Keep in mind that these publishers change their sizes when new tech is released, so you must revise and update your cover when they do. For now, make the height of the image at least 2,500 pixels so that it works on high-def devices. As I mentioned above, requirements differ, but the general accepted size is 2560x1600 pixels in JPEG or TIFF format, with 72 dpi (dots per inch). Your ebook cover image must be less than 50MB. Look through a list of ebook cover designs and note the colors. Some books stand out with vivid coloring, while others are more restrained in their showcase. Choosing the color scheme is a great place to start, as color plays a large role in what the ebook cover states to would-be readers when they are searching online. There is a psychological part to this where colors attract or repel readers to the book. For example, colors like red and yellow are loud and are suggest enthusiasm, while blue and purple are more mild. Colors have a theme, and it should be utilized to support the content of the book. 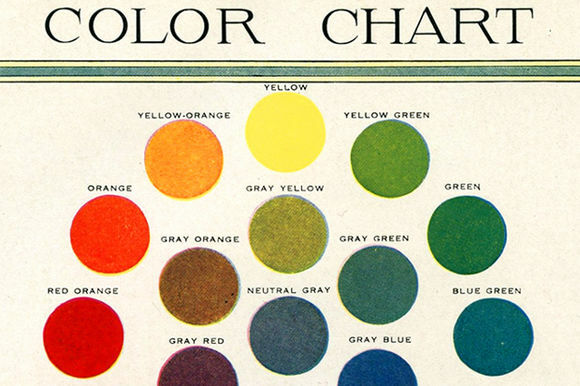 If the book is intended to be more minimalist, consider tones like white, black, and gray. Again, it is up to you, the author, to decide what tone you want to use to promote the book. This is another important factor, but because of the mix with the rest of the ebook cover design elements (the background and image), it will be trial and error until you get it looking right. Experiment, but avoid 3D typography effects, drop shadows, font stretching, or any radical special effects. It won’t make your cover look “cool,” or stand out – the opposite will happen, and it actually makes the design harder for the eye to understand. Avoid using gimmicks and choose beautiful, legible fonts that pair well with your image, background, and color scheme. I’ll cover typography tips and tricks you can use to design your own ebook cover in Chapter 4. Remember that to make a memorable ebook cover, your name and the ebook title don’t have to be massive to be engaging. Focus on setting the mood, which means enticing the shopper to stop at your cover and want to “look inside” or at least read what your ebook is about before purchasing it. What makes an ebook cover design look like an amateur put it together? Bad colors, bad fonts, bad images (or lack thereof), and big file sizes all harm the potential of the book itself because the first thing seen by potential buyers does not attract the eye. Try not to get complicated in emails promoting ebooks; they will all be rejected. It takes just one quick look at the cover to get a reader interested in your ebook. Maybe a book shouldn’t be judged by its cover- but it will be. A dull, sloppy cover doesn’t give the best impression even if the ebook is well-written. Keep all of this in mind when coming up with your ebook cover design. Designs are in the hundreds, but following the rules of ebook cover making will improve a book’s chance of getting recognized. The content in the book may be worth reading, but nobody will buy it if the cover is dull or too radical. People judge covers – which means, they also judge the author. Now, that you have those first elements under your belt, next you’ll learn what type of ebook cover design works perfectly with your genre.